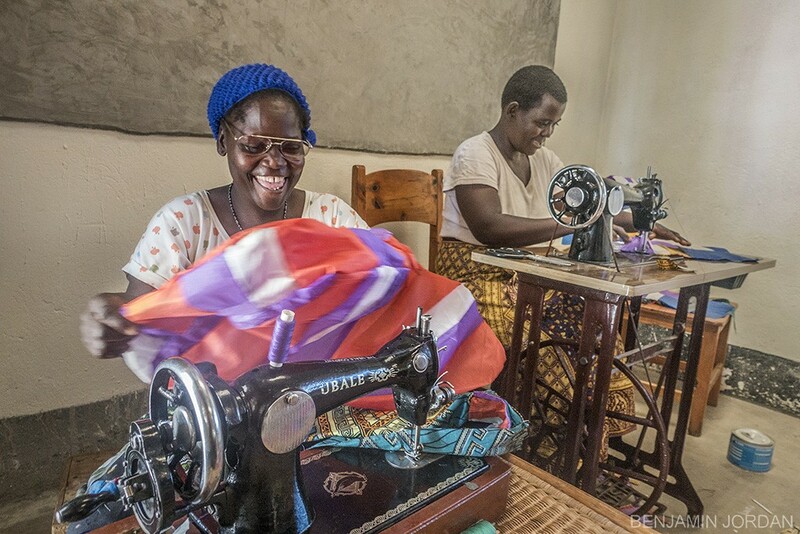 Adventure Bags are hand-made from Recycled Paragliders and traditional Malawian Chitenje cloth. 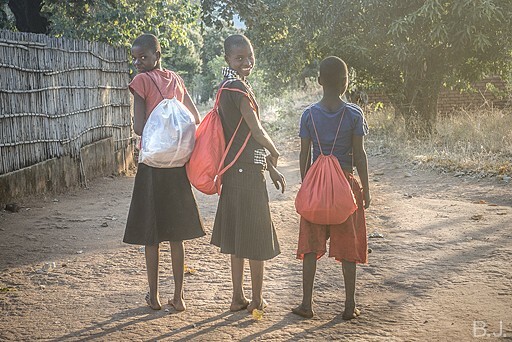 Each bag is a unique piece of functional art and was made by a proud mom who learned to sew at The School of Dreams in Malawi. 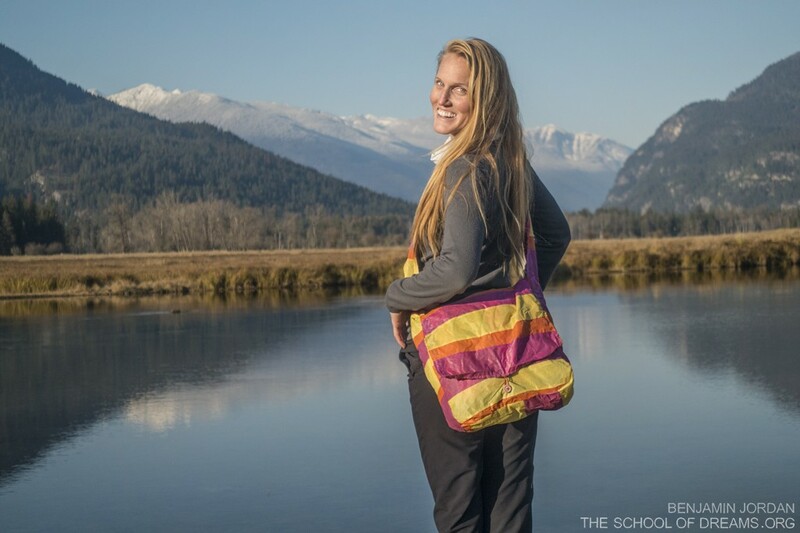 When you buy this bag you keep paragliders out of landfills and support all four of the school's initiatives. 4. The Youth School Bag Project - For every Adventure Bag sold, two school bags are made for Mganja area youth who would otherwise go without. These bags are made from the white fabric found on the bottoms of the paragliders we recycle and can literally be the difference between a kid feeling like they belong in school, or not. Brave mom. Big dreams! - Amai Jo begins picking up speed and is proud to have mastered Mosaic Assembly, an important step of Adventure Bag making. 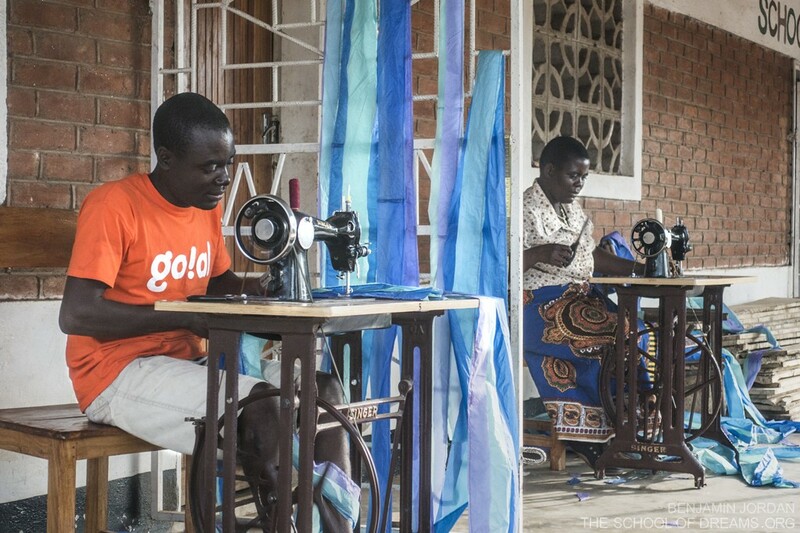 Equal Opportunity - Malawi is a matriarchal society and that means making sure that MEN get the same opportunities as WOMEN. 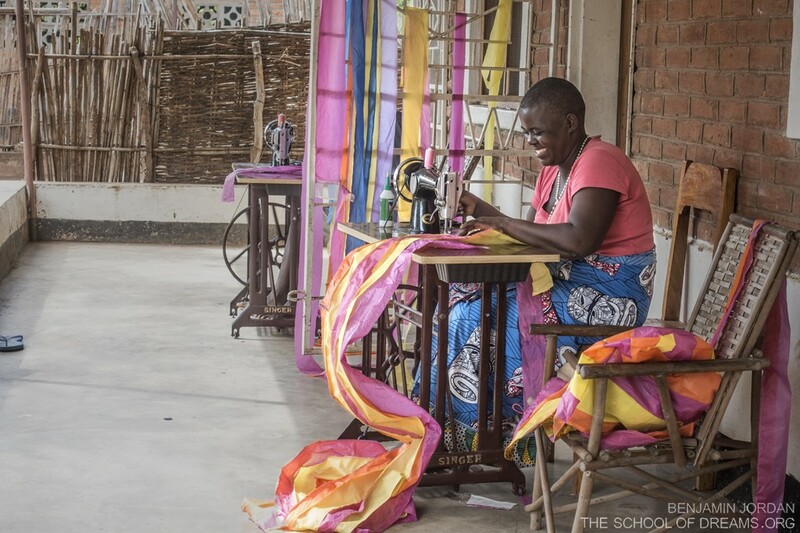 The School of Dreams program welcomes anyone who is motivated to work hard to make a better life for their families and is celebrating its newest tailor, Mateo. Teamwork - Lyndsay helps Amai Jo measure and mark patterns for the Rasta Bag, the latest and most popular Adventure Bag design. Strips of Adventure - Every wing has a story to tell, stories which we meld together to make the magic of Adventure Bags. When you get yours, your bag will tell the story of a woman who was able to learn new skills and support her family in a remote part of Malawi. 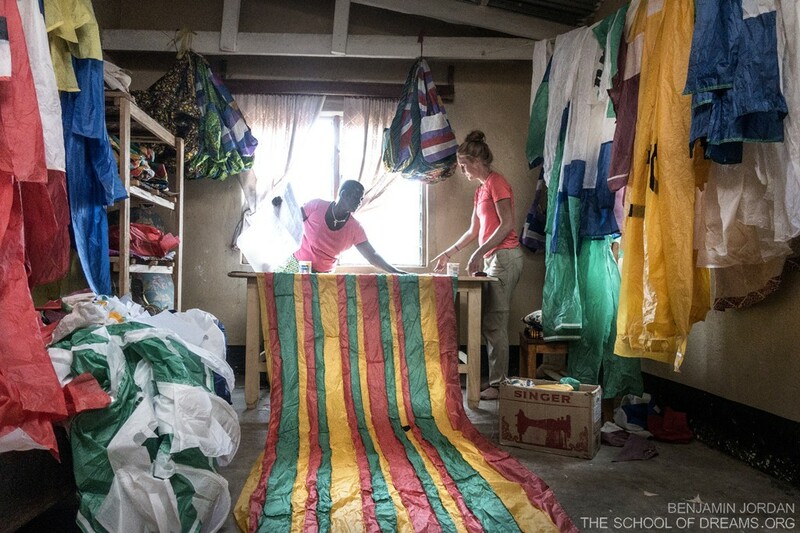 Getting Involved - Lyndsay lends Amai Jo a hand while disassembling one of the dozen gliders we kept out of landfills by recycling them into Adventure Bags this year. Get yours today. - Practical, stylish and for a great cause! Each reversible offers two looks in a sturdy, 30 litre bag that can fit in your pocket and weighs less than 100g.